New Car Detailing in Toronto - Why Detail a New Car? Buying a brand new car is an altogether exhilarating experience. Everything is new. Your car’s interior and exterior sheen is immaculate. In fact, it’s hard to imagine as you drive out of your new car dealership, why on Earth you should invest immediately in high-quality new car detailing and/or new vehicle paint protection. Why is New Car Detailing so Important? Even though you might not think it, new car detailing and paint protection is important. This is because, in reality, your new car might not be as new as you think. You might be the first official owner of your new car. After leaving the production line, however, your car has likely been transported long distance (in many cases even overseas) and has likely been exchanged between a number of dealerships. What is worse, many dealerships use abrasive mechanical buffing to make even new cars look as shiny and as new as possible when parked for display purposes on dealership forecourts. Needless to say, constant abrasive buffing can have a huge adverse impact on even the most robust of new car paint protection systems. 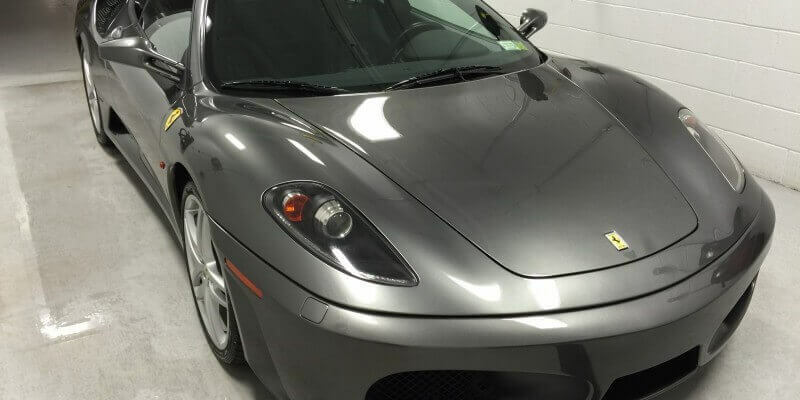 This being the case, one of the first things which new car owners in Toronto should do, is invest in a detail which will focus specifically on revitalizing a vehicles clear coat. At Detailing Pro Shop in Toronto, we can expertly wash, wax, buff, and restore new car paintwork to the exact state it was in when a car first rolled off the production line. Much more importantly, we can apply a new ceramic clear coat to new (and not so new vehicles), which will help protect your car’s paintwork for as far as possible into the foreseeable future. Have you just bought a new car? If so, don’t risk driving with a compromised clear coat which can expedite dulling and rusting of your vehicle. Instead, invest in professional detailing today which can help protect the good looks and market value of your most recent investment.